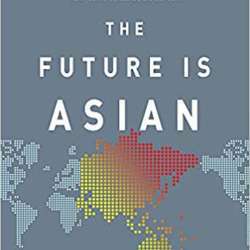 This event marks the launch Parag Khanna’s book, The Future is Asian: Global Order in the 21st Century. In the 19th century, the world was Europeanized. In the 20th century, it was Americanized. Now, in the 21st century, the world is being irreversibly Asianized. The “Asian Century” is even bigger than you think. Far greater than just China, the new Asian system taking shape is a multi-civilizational order spanning Saudi Arabia to Japan, and Russia to Australia—linking five billion people through trade, finance and infrastructure networks that together represent 40 percent of global GDP. China has taken a lead in building the new Silk Roads across Asia, but it will not lead it alone. Rather, Asia is returning to the stable multipolar order that existed long before European colonialism and American dominance, with India and Southeast Asia coming into their own as economic and strategic hubs. The world has gotten used to hearing “America First”—but is it ready for “Asia First”? Get ready to see the world, and the future, from the Asian point-of-view. Parag Khanna (@paragkhanna) is a global strategy advisor and author. He is Founder & Managing Partner of FutureMap, a data and scenario based strategic advisory firm. He is author of a trilogy of books on the future of world order beginning with The Second World: Empires and Influence in the New Global Order Protected content , followed by How to Run the World: Charting a Course to the Next Renaissance Protected content , and concluding with Connectography: Mapping the Future of Global Civilization Protected content . He is also author of Technocracy in America: Rise of the Info-State Protected content co-author of Hybrid Reality: Thriving in the Emerging Human-Technology Civilization Protected content . In Protected content , Parag was named one of Esquire’s “75 Most Influential People of the 21st Century,” and featured in WIRED magazine’s “Smart List.” He holds a PhD from the London School of Economics and Political Science, and Bachelors and Masters degrees from the School of Foreign Service at Georgetown University. Gideon Rachman (@gideonrachman) is Chief Foreign Affairs Commentator at the Financial Times. Michael Cox is Director of LSE IDEAS.